When a prospect doesn’t buy what you sell, how many times do you follow up with them? Small business owners focus primarily on generating leads. But remember that on average, less than 1% of prospects are NOW buyers. 99% are NOT ready to purchase that day, but many of them will buy sometime in the future… IF you continue to nurture them by staying in touch on an on-going basis. Unfortunately, the vast majority of small business owners rarely, if ever, follow up with their prospects after their initial contact with them. So why is follow-up important? The reason is because 80% + of ALL sales occur between the 5th and the 12th point of contact between the business and the prospect. 80%!!! Are you starting to see an opportunity here? 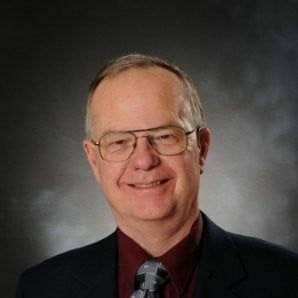 This is where you need to implement a “drip campaign.” A drip campaign is a marketing communications strategy that sends or “drips” messages to prospects overtime, usually through email. The marketing is typically automatically delivered on a pre-determined and scheduled basis. A drip campaign can add significant revenue to your business. But here’s the really cool part: once you create your compelling offer, all you have to do is take specific segments from that offer and send it to your prospects on a consistent basis. Let me show you an example of how this idea was carried out for a client that owned a sunroom company. might call an “Idea Guide” that features various models or state-of-the-art concepts. 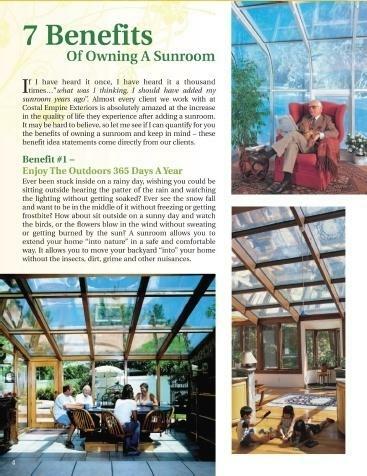 Notice in the Idea Guide it starts out listing the 7 benefits of owning a sunroom. Benefit number one – enjoy the outdoors 365 days a year. 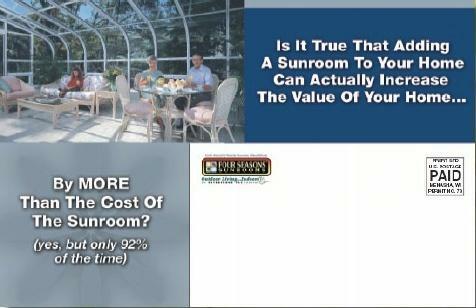 Obviously that’s a HUGE reason someone would buy a sunroom, but unfortunately, 80% of prospects won’t read that. So let’s reintroduce that benefit in our drip campaign and drive it home to the prospect. 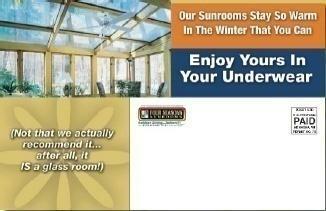 This sunroom company did that using a 6 X 11 oversized postcard, but they could have also done it through email. Notice that benefit number 4 says that owning a sunroom recharges your solar batteries. 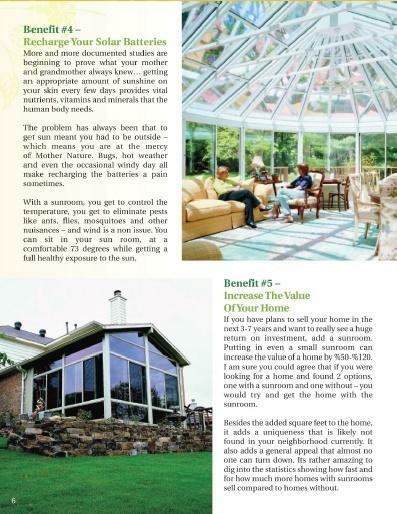 Benefit number 5 is major as it educates prospects that a sunroom actually increases the value of their home. So this postcard reinforces that fact. 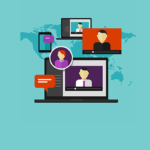 The point in showing you these is to emphasize that, once you create your compelling informational offer, you pretty much have everything you need to implement your drip campaign. But, look what begins to happen from the first day you start your drip campaign. If you generated 300 leads per month, conservatively speaking you’d average 60 prospects that would opt-in for this informational offer… and of those that did… 6 of those 60 would become clients. So that means 54 prospects would NOT buy the product. Those are the prospects that should now begin receiving the drip campaign. Out of those 54 prospects, an additional 2 of them will typically buy in the next 30 days. This is a pattern that continues month after month for as long as you to stay in touch with these prospects… and continue to offer them value. Let’s say, every month, 54 new prospects go into the top of your“funnel,” and 2 additional sales per 54 prospects continue to be delivered from the bottom of the funnel. At the end of year one, you will have generated 4080 new prospects… and 72 new clients. This growth pattern continues year after year for as long as you maintain this sales process. 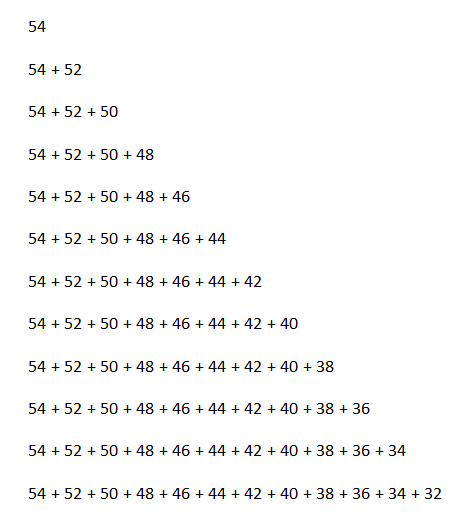 But here’s the problem. 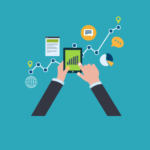 Now let’s calculate how this strategy will conservatively impact YOUR business. Remember, 80% of sales take place only AFTER 5 to 12 points of contact…and imagine few of your competitors are doing anything similar. 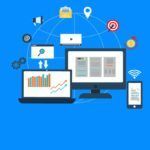 Since you’ll be leading the market, you can logically expect to see a dramatic increase in both sales and conversions. However, for the purpose of this exercise, let’s stay extremely conservative and calculate just a 10% conversion rate for your drip campaign. What was your total sales revenue last year? Whatever your number is… take 10% of that total. That’s an ultra–conservative estimate of what a drip campaign can easily produce for your business over the next 12 months… and that conservative amount can easily double each year… year after year… for as long as you keep your drip campaign in place. That’s a pretty exciting outcome, isn’t it? During a recent business assessment, I found $120,000 in additional annual revenue by implementing a simple drip campaign… and that grows exponentially year after year. $120,000 in additional annual revenue increases the valuation of that business somewhere in the range of $350,000 – $500,000. Not bad for a small business owner! So, don’t drop the ball. Make sure you implement a drip campaign today! Thoughts? Comments? Stories to share? Please let us know in the section below. COMMENTS: Tell Us Your Thoughts.